The 1982 Honda CX500C for sale is a SWEET café racer that has a custom DuPont paint job with 5 coats of clear and the rims, front forks, front fender, and radiator guards have been powder coated to match the engine. It's FAST for a 500cc, shaft driven motorcycle and has pod filters, stainless steel custom bent headers wrapped in fiberglass, megaphone slip-ons with modified baffles, professionally rebuilt rejetted and tuned Carbs that match all modifications, Clubman handlebars with Renthal sport bike hand grips. The bikes' tires have plenty of tread left and the rront forks were just rebuilt. 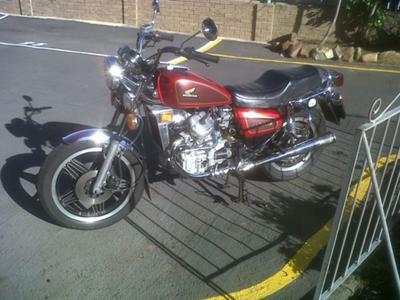 The 1982 Honda CX500 C has had all brake pads and parts replaced and adjusted! It has had its rear shocks replaced. New battery kept on tender over the winter. GoGoCycles would also encourage bikers to submit a review of the café racer to make the biker community aware of any problems that are commonly associated with the CX500C or to highlight its positive features and help potential buyers make informed decisions. 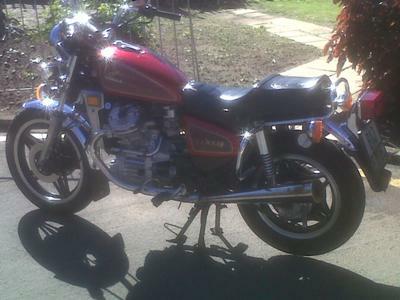 The 1982 Honda CX500C for Sale is in located in the Detroit MI Michigan area. I have a lot of extra Honda CS500C parts that go with it. Price: $3995 or I will consider trading for V-Twin Sport Bike. Text (no e-mail) 73four-seven31-03four6 and don't forget to mention that you found this ad on GoGoCycle's Used Motorcycles and Parts for Sale www.gogocycles.com in your message.